Would an available E-85 Conversion kit or new vehicle option make hybrids more attractive? 1. Would an available E-85 Conversion kit or new vehicle option make hybrids more attractive? Yes, I think it might enhance the efficiency and green credentials. Yes, anything to reduce oil dependency! No, it would diminish the efficiency - damage the green credentials. No, Hybrids are efficient (green) enough. No way, I'd never consider a Hybrid under any circumstance! 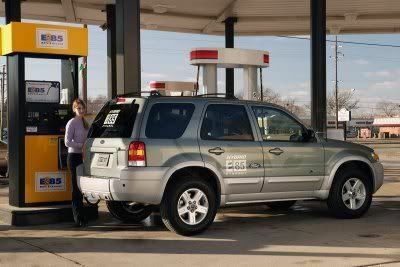 In 2006, green vehicle websites noted the debut of a flex fuel Ford Escape Hybrid research vehicle, but I've heard little since. 2009-current that used PHEV (plug-in capabilities and lithium ion batteries) There was at least 22 of these driven by various electrical/power companies providing feedback. The 2008 E85 FEH that used the normal design platform but was made E-85 capable. A number of ethanol plants got one for a two year trial. The first generation 2005-07 FEH E85 vehicles. Mostly found in Missouri, Illinois, Iowa. Issues? Vehicles needed a more aggressive emission setup to cope with the frequent start up and stop ICE operation found with hybrid vehicles. So . . . they've got a full six years of test data. When does Ford rollout the redesigned Escape? Is it likely to introduce an E85 hybrid to the public? I've also seen rumors of retirement of the Escape nameplate. What might be it's successor? New York has run a bunch of these Ford Escape Hybrids for 4,5,6 years .. 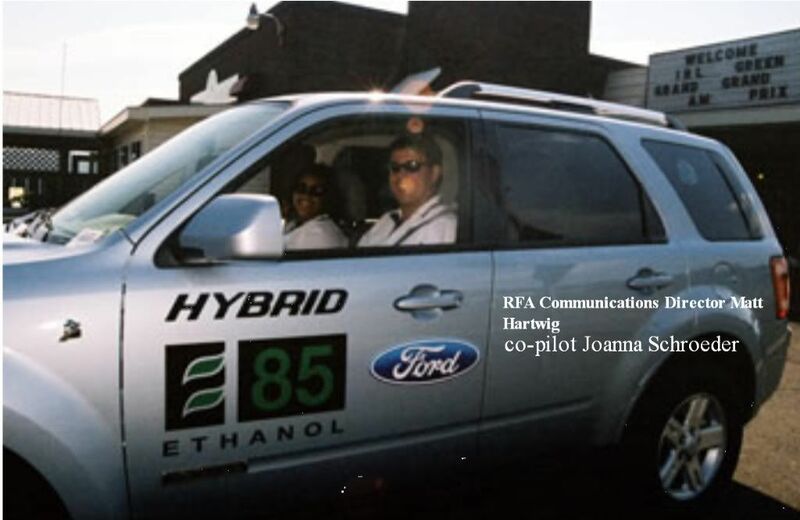 Check this out .. after 230,000 Miles the Ford Escapes Hybrid Battery still had 85% capacity!!! The 2013 Escape does not have a hybrid version. It does have two EcoBoost (1.6L and 2.0L) versions that might love E85. The Fusion and the new C-Max vehicle carries on the hybrid technology and will offer a plug in version. 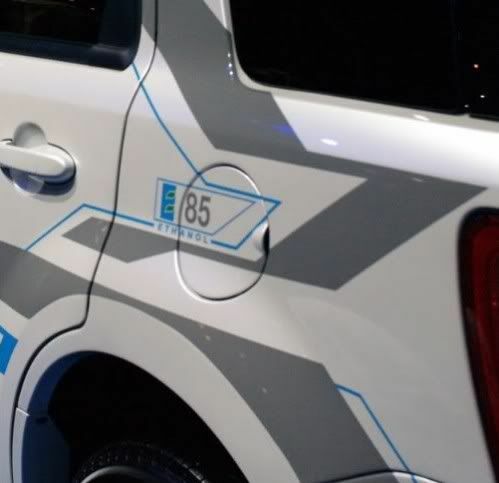 While visiting the Chicago Auto Show, I examined the Chevrolet Volt and Spark, numerous Hyundai hybrids, the Prius C and V, and the Ford Focus EV and Fusion Hybrid Energi. Regrettably, I completely missed the C-Max. Prior to purchasing our Prius, we owned a Plymouth Grand Voyager. We loved the spaciousness of the minivan, but hated the unreliability and freaky gremlins in the electronics. During a collision repair, the Ford Flex was our assigned rental. The Flex was roomy and comfortable, but 16 mpg on my commute removed it from serious consideration. Having just been introduced to the Ford C-Max Hybrid literally yesterday, I think it has just joined the list of viable new purchase candidates. Regardless of which plugin hybrid I choose, I'm staking out one of the two remaining unused charging stations at my employer. Currently those charging stations are the exclusive domain of the Chevy Volt. No news yet on whether the 2.0l 4-cyclinder can sip E-85.